Colorado Dump Truck Insurance. Nearly a half-million truck accidents occur each year on the nation's roadways - many of them involving dump trucks, according to the U.S. Department of Transportation. If you own a dump truck as a owner operator or you are a business owner with a dump truck fleet or other heavy-duty commercial trucks, you have made a major investment in your business - one that you must protect. An Colorado dump truck insurance policy that is specifically designed for your particular situation is a must. Colorado dump truck insurance protects your dirt, sand and gravel hauling business from lawsuits with rates as low as $197/mo. Get a fast quote and your proof of insurance now. Although the rates you pay for your Colorado dump truck insurance policy are based on the truck, including the make, model, and year and so on, and on its weight, it may also be based on things such as your driving history and credit. Coverage for dump trucks fall under commercial vehicle insurance, a general category of insurance. Dump truck owners, like the owners of other commercial vehicles, must carry liability Colorado dump truck insurance in order to have these trucks operational on the roadway. Mishaps and accidents in these types of trucks can leave behind massive damage, which makes coverage essential. Since dump trucks are designed mainly for use in off-the-road applications, the design of these kinds of trucks means that collisions with regular vehicles can leave behind fatal outcomes. Each week in the U.S., the Bureau of Labor and Statistics reports that there is at least one fatality related to dump truck accidents. 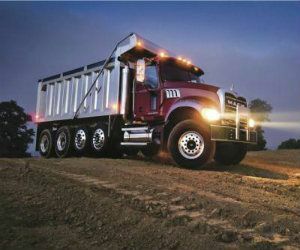 What Benefits Does CO Dump Truck Insurance Provide? Exercise caution when operating the CO dump truck. 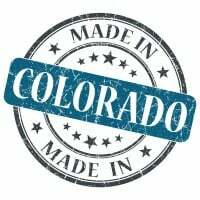 Request a free Colorado Dump Truck insurance quote in Akron, Alamosa, Arvada, Aspen, Ault, Aurora, Avon, Basalt, Bayfield, Bennett, Berthoud, Boulder, Breckenridge, Brighton, Broomfield, Brush, Buena Vista, Burlington, Carbondale, Castle Pines North, Castle Rock, Cañon City, Cedaredge, Centennial, Center, Cherry Hills Village, Colorado Springs, Columbine Valley, Commerce City, Cortez, Craig, Crested Butte, Cripple Creek, Dacono, Del Norte, Delta, Denver, Durango, Eagle, Eaton, Edgewater, Elizabeth, Englewood, Erie, Estes Park, Evans, Federal Heights, Firestone, Florence, Fort Collins, Fort Lupton, Fort Morgan, Fountain, Fowler, Fraser, Frederick, Frisco, Fruita, Georgetown, Gilcrest, Glendale, Glenwood Springs, Golden, Granby, Grand Junction, Greeley, Greenwood Village, Gunnison, Gypsum, Hayden, Holyoke, Hudson, Idaho Springs, Johnstown, Julesburg, Keenesburg, Kersey, Kremmling, La Junta, La Salle, Lafayette, Lakewood, Lamar, Las Animas, Leadville, Limon, Littleton, Lochbuie, Lone Tree, Longmont, Louisville, Loveland, Lyons, Mancos, Manitou Springs, Mead, Meeker, Milliken, Minturn, Monte Vista, Montrose, Monument, Mountain Village, Nederland, New Castle, Northglenn, Olathe, Orchard City, Ordway, Ouray, Pagosa Springs, Palisade, Palmer Lake, Paonia, Parachute, Parker, Platteville, Pueblo, Rangely, Rifle, Rocky Ford, Salida, Severance, Sheridan, Silt, Silverthorne, Snowmass Village, Springfield, Steamboat Springs, Sterling, Superior, Telluride, Thornton, Trinidad, Vail, Walsenburg, Wellington, Westminster, Wheat Ridge, Windsor, Woodland Park, Wray, Yuma and all other cities in CO - The Centennial State.